Inspired by one of America's worst mining disasters, a novel which follows a disparate cast of characters in the mining town of Silverton, Idaho, before and after a disastrous fire in the mine that changes their lives. ...Canty’s masterly, affecting The Underworld, is less about an abysmal hell than the purgatory of survival in a spiritually and literally toxic small town ... As vivid as his descriptions of the Silver Valley are, Canty’s real genius lies in his subtly drawn depiction of the emotional and psychological landscape of this 'big incomprehensible thing' ... In spare, moving prose, Canty brilliantly captures the tragic contradictions of this dark spring, and of lives stubbornly laid down for profit in tainted earth that daily reclaims its own. Canty is a skilled observer of his female characters, rendering them well, and of the space they make for themselves. Lyle, meanwhile, starts as essentially a cipher before gradually emerging on the page through his personal longing in the thick of the mine's darkness. The other men—Malloy, Ray, Ray and David's father, and more—remain, to greater and lesser degrees, inaccessible, and this is no doubt the author's choice, the kind of shadow his novel throws ... 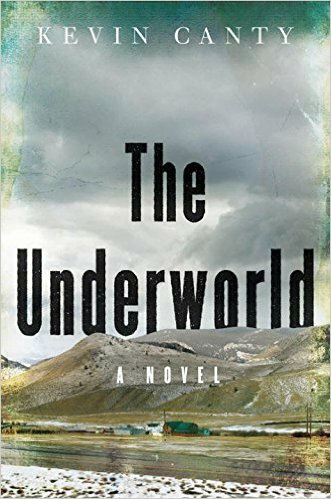 The Underworld evokes with great spirit the wide-open feeling of Idaho, the small humans populating it with their outsized dramas that shout through the pervading silence, the ever-presence of televised Nixon and cigarettes and clouds in the sky. Canty's talent is the kind that doesn't call attention to itself, and without contextual info it's easy enough, for a New Yorker at least, to believe the novel was written by a native. The narrative problem Canty faces is this: His characters - with a couple of exceptions, including David and Lyle - are not likable. But Canty makes it clear that the mine owners are more detestable ... Likable or not, the lives of these desperate folk are interesting and realistic in raw sort of way, and the tragedy they are forced to face makes them worthy of sympathy and respect. What did you think of The Underworld?